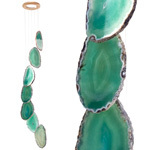 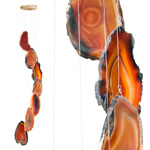 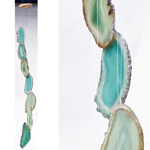 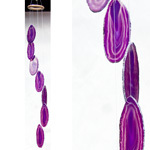 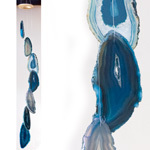 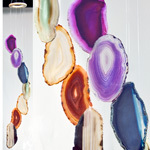 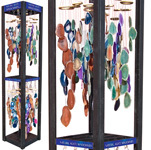 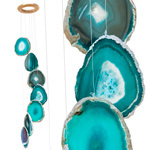 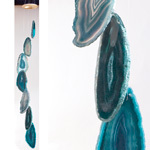 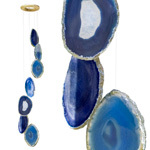 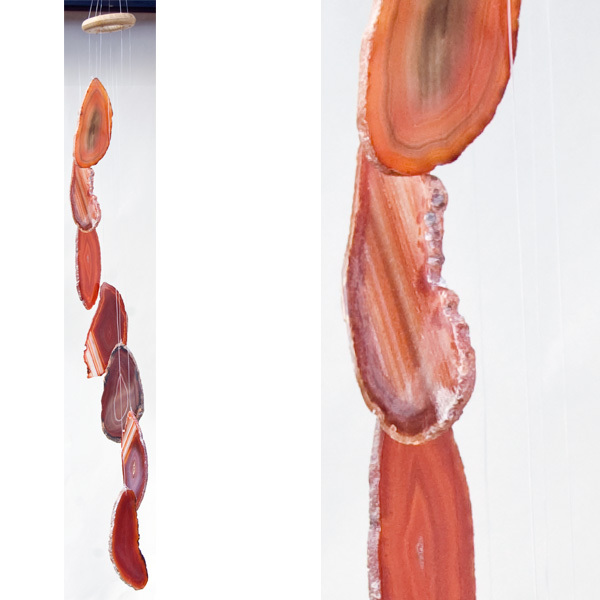 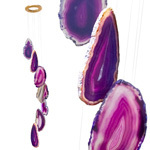 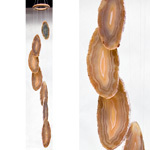 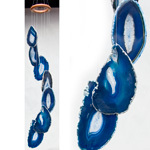 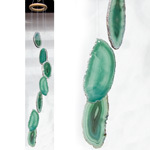 Beautiful garden windchimes made from real agate in Brazil enhance the sounds of nature with their light tinkling. 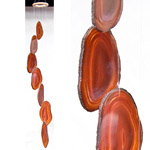 Red agate has been specially treated to gain colour which highlights the natural banding and structures. 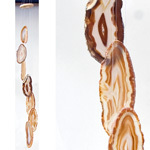 Agate slices seem to glow in the sunlight. 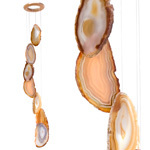 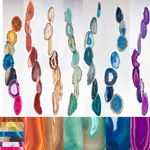 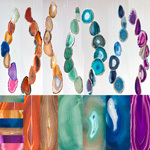 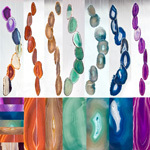 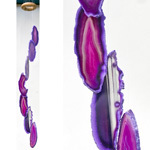 Agate chimes can be fabulous gifts for men or women. 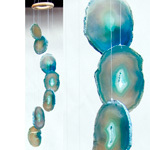 Anyone seeking calm and serenity will appreciate this simple, natural design.